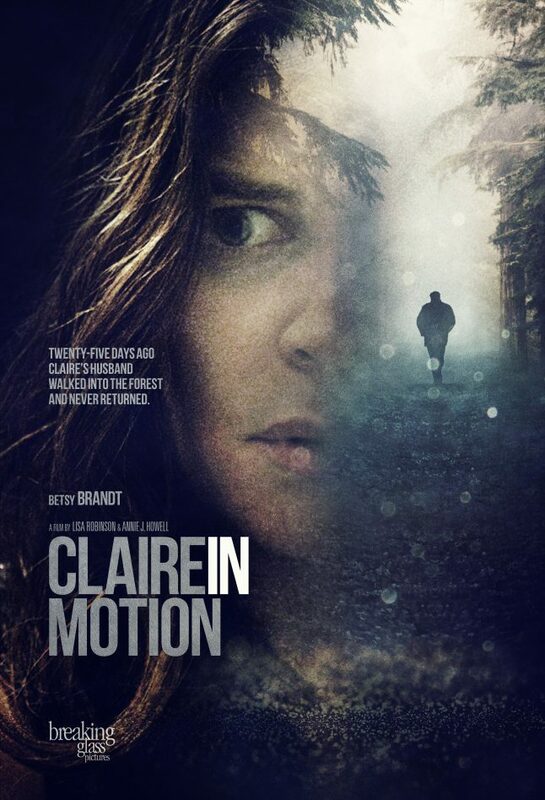 After an award-winning festival run, writer/directors Lisa Robinson and Annie J. Howell’s (Small, Beautifully Moving Parts) jet-black psychological thriller Claire in Motion will arrive in theaters and On Demand on January 13th from Breaking Glass Pictures. The film stars Breaking Bad‘s Betsy Brandt, Anna Margaret Hollyman, Chris Beetem and Sakina Jaffrey. We have your first look at the official poster below. Official synopsis: Three weeks after Claire’s husband has mysteriously disappeared, the police have ended their investigation and her son is beginning to grieve. The only person who hasn’t given up is Claire. Soon she discovers his troubling secrets, including an alluring yet manipulative graduate student with whom he had formed a close bond. As she digs deeper, Claire begins to lose her grip on how well she truly knew her husband and questions her own identity in the process.